U.S. Coast Guard Petty Officer Bill Colclough said the four vessels were all partially submerged Monday in different parts of Nushagak Bay after they were swamped by waves and began taking on water. He said all of the vessels were commercial salmon fishing. He said an investigation into the incidents was ongoing Monday and that a definitive cause of the submersions had not been determined. "We had this lull and then all of a sudden the lull ended abruptly and dramatically," Sands said. 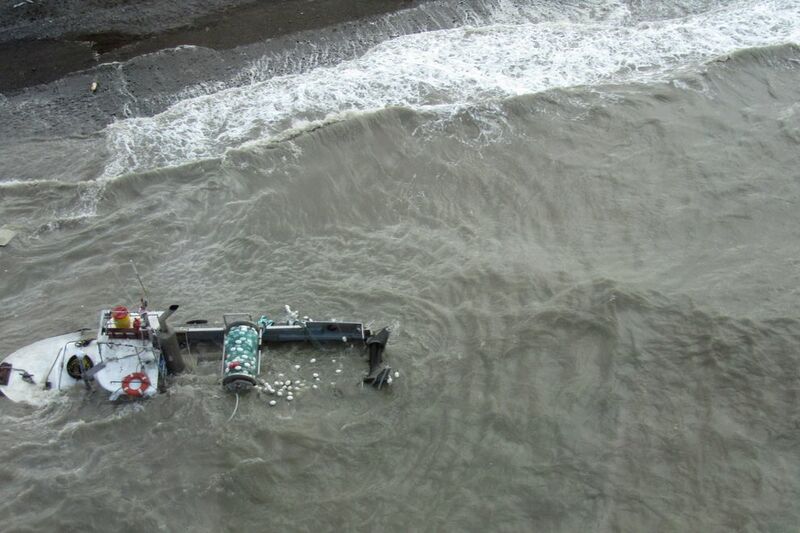 Heavy boats filled with salmon plus bad weather made for difficult fishing, Sands said. He said fishermen were reported driving boats heavy with fish toward shore in an effort not to sink. 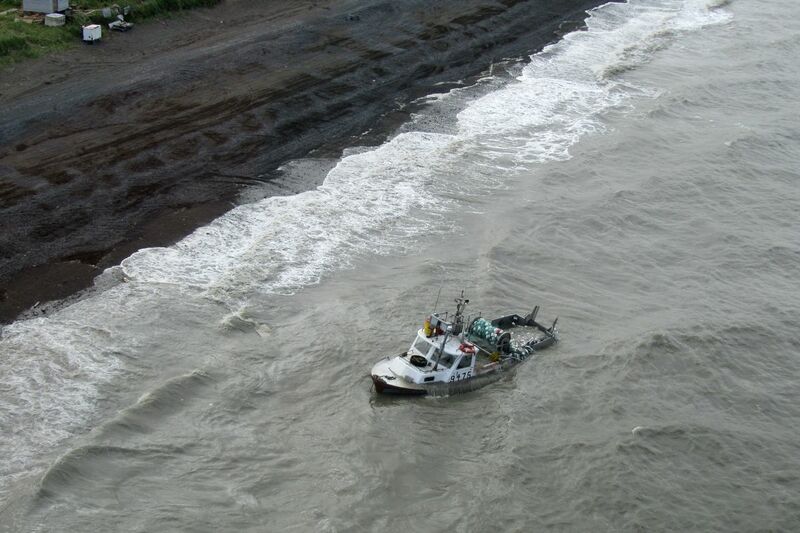 A situation report from the Alaska Department of Environmental Conservation said locals observed ribbons of sheen and diesel odor coming from the grounding of one of the vessels, the F/V Ketok, near the village of Ekok Monday. In 2013, a sunken vessel near the Igushik River began leaking diesel fuel and closed the setnet fishery due to an oil sheen 1.5 miles long. No fisheries have closed as a result of this incident, but a nearby cannery suspended purchase of fish from the area of the grounding as a precaution. The vessel was carrying 150 gallons of diesel fuel and 25 gallons of hydraulic fluid, according to the report.